The miniature schnauzer who returned from the dead to protect his family. The Belgian sheepdog who kept his sleepy human companion from crashing his car on a lonely deserted highway. The Labrador mixed-breed who shielded her mistress from the fangs of a venomous copperhead snake by taking the bite herself. The sheepdog who kept a faithful, five-year vigil for his dead master. The Scottish terrier who sees ghosts. These dog tales will warm your heart and stir your soul. They will bring you joy and tears. These beguiling canines will inspire and uplift you with their antics, their comedy, and their love for humans. In this world, which sometimes seems so dark, dogs light up the darkness with their love and courage. They offer us a reason to rejoice and to feel good about ourselves---a reason to celebrate life and the lives of all creatures great and small. It is easy to see that the author and those who have contributed stories to this short story collection are passionate about their canine companions. There’s a story about a miniature schnauzer who moved furniture in order to get up to the table and eat a whole plate of brownies. There is a story about a dog that looked into the writer’s eyes and connected with an unearthly bond. Could this dog really be an angel? There are stories about bonds between dogs and their owners that cannot be ended by death. Dogs have saved their owners in life changing ways. This book brings to mind the bond between my husband, a 300 lb Santa Claus, and our 10 lb Chihuahua, named Bonita. 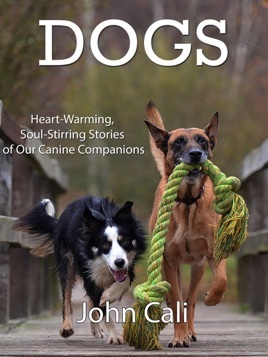 Anyone who has ever been owned by a dog will enjoy the stories contained in this small book, called Dogs, by John Cali. The stories are short, and can be read while catching a train to town, or just before falling asleep at night. I think it would be fun to read one story each evening with your family, around the dinner table. Read the stories ahead, there are a few stories that may not be suitable for young children. Very, very touching and heart-warming—Must read! This book really plucked at my heart strings. So many excellent writers including the editor John Cali. Notable stand-outs are Cathy Clamp, Kate Fratti, and Robert Paul Blumenstein. I have (as noted in my other reviews) been a long-time fan of Robert Paul Blumenstein, author of the quirky thrillers Flirtin’ with Jesus and Snapping the String. I was surprised, not to mention very pleased, to see Robert Paul Blumenstein stretch in this assignment and to glimpse his “nonfiction” side. If you’re a dog lover, you’ll love this book. It, of course, has numerous “put-down” tales, which is the hardest part about owning a pet of any species. But there are other stories that will edify the reader and certainly point to that special place pets (specifically dogs) have in our lives. My only criticism of the book is that it wasn’t long enough. Yet, big things come in small packages, right? Well, this book delivers a big package of Love in a small, wonderful volume filled with glorious escapades about lovable dogs. Also, many stories are nicely delivered from the POV of the dog, so we get the pooch’s side of things, too. I highly recommend this book! Holy Cow. On a scale of 1-5 this book is a 10. John has done an excellent job of telling heart warming stories of our canine friends. If you love dogs, then this book is for you. 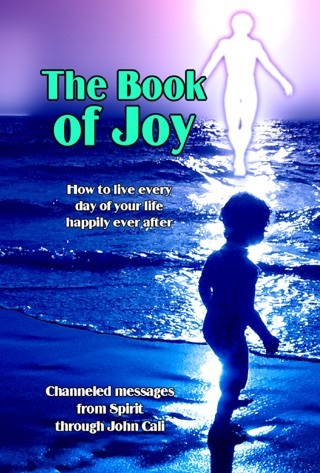 Don’t wait another minute, order this book. You won’t be disappointed.